Staying motivated isn’t always that simple. You’re motivated to lose weight because you’ve got big plans once you’ve shed all those pounds. But there’s only one thing that can guarantee you’ll stay excited enough to stick with the HCG Diet protocol. And that is PROGRESS. When you see any progress you are more motivated to lose weight. You know that your hcg diet is working. However, you have to know what the signs of progress really are. There’s more to the HCG Diet than the number on the scale. During sleep, your body goes into an overdrive and gets to do a lot of work like processing the energy. When your calorie count decreases, your body adapts by converting stored fat into energy during sleep (and during the rest of the day).This results in sleep that is more satisfyingand much deeper for most dieters. If you are having a restless night on your first week of hcg diet it’s because your diet isn’t working and your body isn’t actually processing your fats. So how are you going to make your diet work? How do you fix these? You have to stick with the protocol. 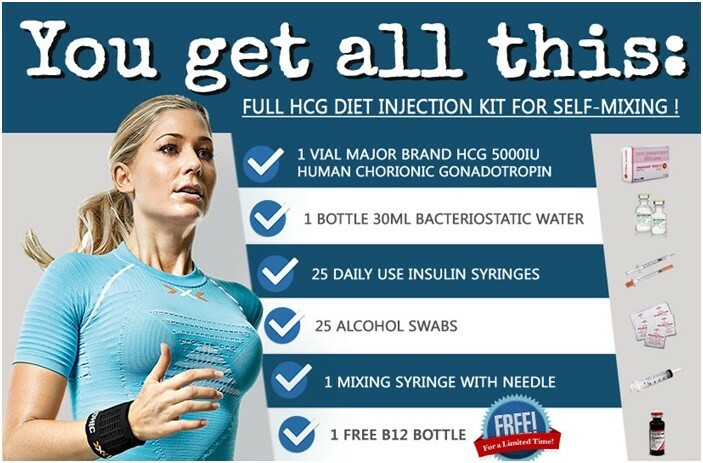 You will surely lose weight if you will follow the hcg diet instructions included in the HCG kit. It is the process where your body uses the stored fats then convert it into energy. This process is detectable through the presence of ketones, a substance produced during metabolism. You can tell that your body is only relying on the foods that you had consumed or your body is burning the stored fats by taking a ketosis test. The test is simple. You can buy ketosis test strips from your local drugstore. Just follow the instructions. If the test comes back positive, you’re losing fat (and the HCG is working). But if it’s negative, you may need to adjust something on your hcg diet. Cravings are easier to control if you get past the first phase of the diet. But if your cravings are still unbearable then you know that your hcg diet isn’t working. Cravings and sometimes giving in for the foods you used to love is the worst part of any diet. If your longing for food is too strong then something needs to change. However, if you don’t have any of these signs then your HCG Diet is working. You will feel more energetic when your body gets used to burning the energy instead of storing it as fats. This is one of the main reasons why people go on a diet-to boost their energy. During the first part of HCG diet you may feel a slight decrease of energy but you’ll get it back when your body becomes adjusted with your new calorie intake. Just take vitamin B12 to help you get along well and make sure that you drink enough water.